The Black Panther Party’s 10 point program is a valuable tool for teaching liberation education. It not only gives students a deeper understanding of the civil rights movement, it further provides a container for participants to connect this history to their individual experience and discuss the most pressing issues in their community. Participants learn about the alliances built between the Black Panther Party and the United Farm Workers during their grape boycott and everyone gets to enjoy a fruit salad made with produce grown on local unionized organic farms. 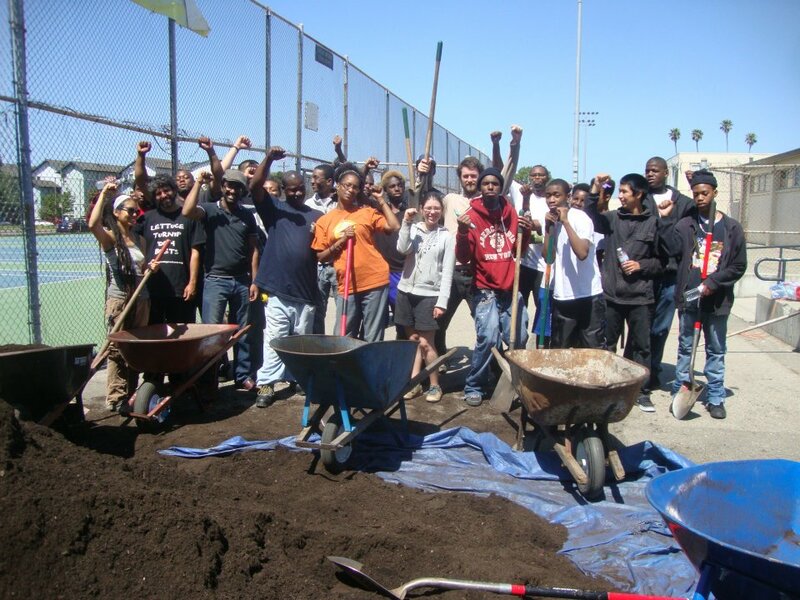 Students at McClymonds High School move over 15 cubic yards of rich organic compost into the raised beds they built on campus.